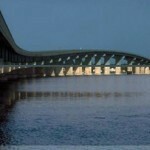 The changes were approved unanimously, with a progress reported ordered from the Planning Director in April 2019. The Dare County Board of Commissioners has approved the next step in efforts to help fill the widening gap in housing for workers and families by approving a series of zoning changes. 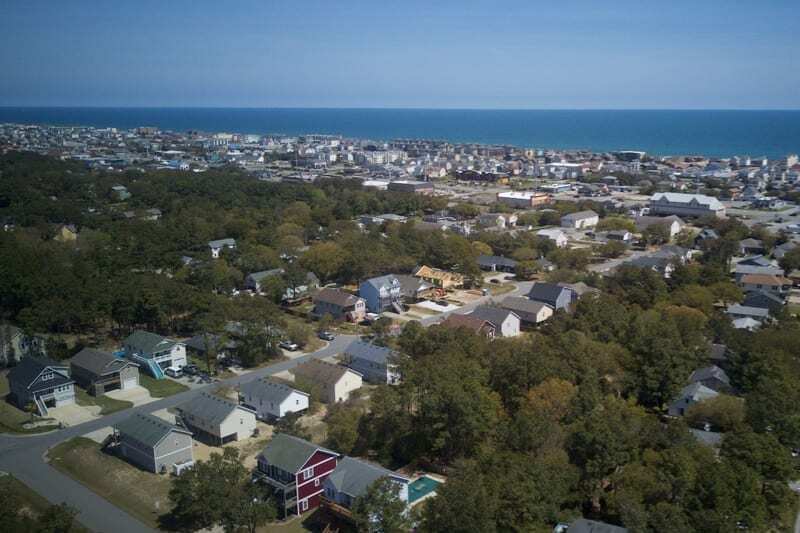 Following a proposal from The Outer Banks Chamber of Commerce and review by the Planning Board, the proposal for unincorporated areas of the county went to the Board of Commissioners earlier this month. Under the final proposal developed by Planning Director Donna Creef and her staff, duplexes would require a minimum size of 15,000 square feet for lots served by central water and 20,000 square feet for those with private wells. No size limitation adjustments will be made in Wanchese, Manns Harbor and East Lake since those communities agreed on a 50-percent limit during development of zoning maps years ago. Other areas would see limits of 50 percent of the floor area of the principal structure not to exceed 1,200 square feet. No one spoke in opposition of the changes during Monday’s public hearing, with members from the business community pointing out the difficulties they have in filling a variety of jobs in all industries because of the lack of housing. Duke Geraghty, legislative chair for the Outer Banks Homebuilders Association, pointed out his support for the amendments, but they still left out R-1, R-4 and RS-1 zoning districts from several of the recommendations. Much of northern Roanoke Island outside the Manteo town limits is zoned R-1, allowing for just low-density housing. Geraghty also said that there is an issue with how septic tank system rules have changed in the past two years. That change now requires the addition of drain lines and repair area if a bedroom and cooking area are added to a home, no matter the type of soil or geographic location. Geraghty said the Homebuilders Association and others have lobbied the General Assembly for legislation to help change those rules. Vice-Chairman Wally Overman made a motion to approve the amendments with the added request that Creef present a progress report on the changes in April 2019. The amendments were approved unanimously by voice vote. As expected the BOC kowtowed to the “needs” of the business community and the unobtainable goal of affordable housing. The results of this will be more rental units for tourists with little to no benefit to those in need of lower priced housing. For those who believe the government can help by allowing for these zoning changes the reality is the market will not allow lower priced housing intermingled with market priced housing. A 1200sf accessory building on a 15,000sf lot is laughable. That will not be a one bedroom house no matter what is on the building permit. You can squeeze three bedrooms into 1200sf with no problem. For an example of what happens when affordable housing is brought to market look no farther than the Real Cabanas in Waves. Those were an attempt at affordable housing gone wrong. (7) buildings with (3) 3-bedroom condos. They were owned by regular folk before they realized it was not cost effective to live here when there were not any year round jobs. Dare County is not an easy place to live. The cost of living is way out of touch with what folks actually get paid working here. Majority of homes are without of reach for renting. Most want at least $1400 rent for a small beach box …. and that is actually unaffordable here for majority of the population. Even a two bedroom rental is roughly $1200 rent and again … unaffordable for most. Elan built their “affordable housing” up in Currituck with rent starting at $1500 – again … out of touch with what people really can afford. Dare County needs to wake up. This county caters to the tourists and folks that do not live here. The market is lopsided. The commissioners only care about the money coming in from tourists and big builders, not the folks who live and work here. I’ve been coming to the Outerbanks for 60 years. Stayed at the old Sandollar cottages & Jacksons Homes cottages in Nagshead. Check out this website “Granny Pods Medcottages”, A Backyard Home For The Elderly’ to see if this a possibility for full residents. Maybe this could help. @OBX Girl…this place will never be affordable and there is no such thing as affordable housing. It can start off affordable, but there is no way to keep it that way. Any affordable housing needs to be far enough away that it won’t be desirable to tourists. Mann’s Harbor maybe? You can thank for BOC and Tourism Board for bringing in as many tourists as possible without any regard for the consequences. They pretend to care, but do not and never will. This will end up a well disguised plan for affordable units. In realty people will purchase these and turn them into rental machines. The county will never be able to control the use of the housing and the builders and out of town money will score big. I plan to build an auxiliary garage w/small apartment above to rent out. I would much prefer to rent long term to working folk at a reasonable price instead of having revolving tenants for maybe 5 months a year. Makes business sense and avoids a LOT of issues. In Northern Virginia, we’ve been building at R-8 to R-12 and higher for 30 years. Now the only places you can find small affordable homes on 1/4 acre are in the communities built in the 1950s. Yet that’s what all the millennials who want to start families are looking for. If you take the path of lots and lots of townhomes, I predict you won’t be very happy with it. But more importantly, someone needs to take a look at those 329 and 905 parcels to see that they have not been flooded over the past, say, 20 years. The last thing someone needing affordable housing should have to suffer is being flooded every time there’s a hurricane or nor’easter. And it’s not just elevation, but also drainage, a problem the board is currently struggling with. And it’s a safe bet that flood insurance won’t be getting any less expensive!